In addition to this you also got to make sure that your website is usable and is easy to navigate. You can use this Coloful and Stylish Auction Template Free PSD and save loads of time and money for your upcoming personal and commercial Auction Website Projects. 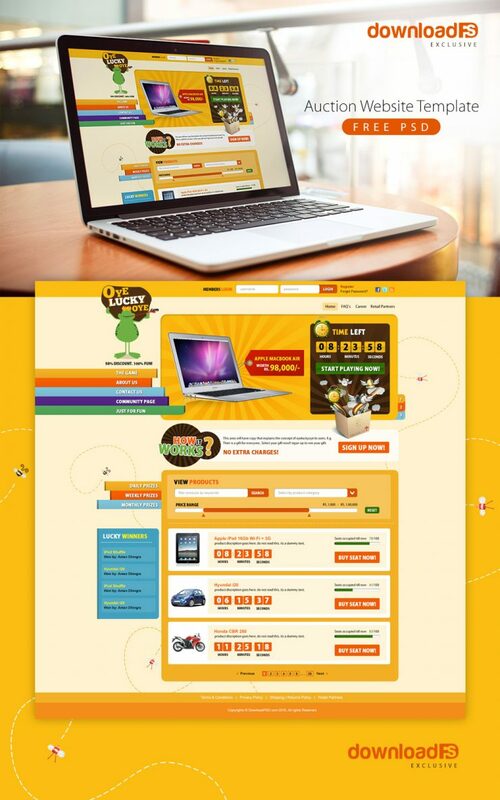 Download and use this absolutely free Auction Website Template PSD and get yourself a usable website in no time. Every detail is carefully thought of, in order to create a user-friendly Website Template.